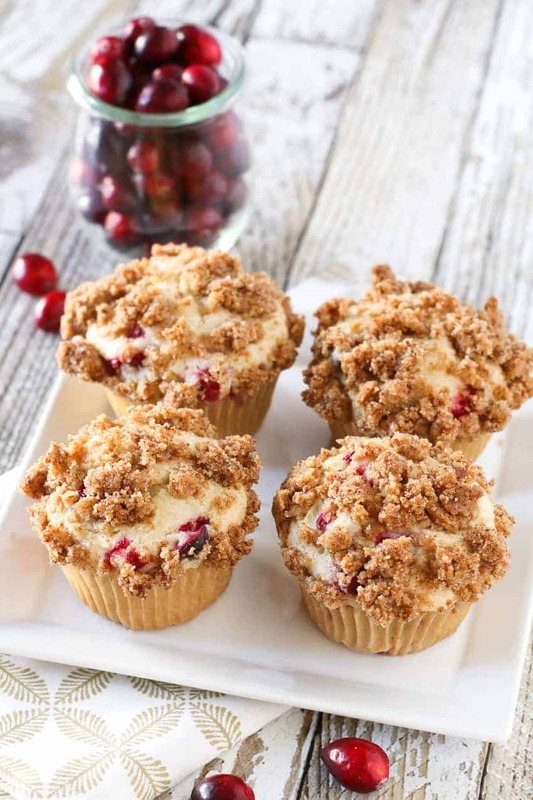 One of the best ways to take advantage of cranberry season, these light and fluffy coffee cake muffins made with fresh and tart cranberries will be the hit at every brunch. 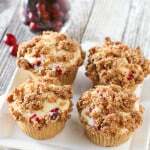 I’m bringing cranberries to breakfast this time with my gluten free vegan cranberry coffee cake muffins. A light, tender vanilla cake made with my gluten-free flour blend, filled with sliced fresh cranberries. Love the touch of tartness that they bring to the muffins. A cinnamon crumb topping to top them off, which adds great texture and crunch. This entry was posted in Baked Goods, Dairy Free, Recipes, Recipes & Techniques by Cooks We Love, Vegan and tagged celiac disease, dairy free, food allergies, gluten allergy, gluten free, gluten free baking, gluten free diet, gluten free holidays, gluten free mommy, gluten free parent. Bookmark the permalink.